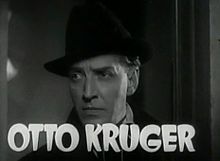 Otto Kruger as Dr. Garth. Gloria Holden as Countess Marya Zaleska. Edward Van Sloan as Professor Von Helsing. Dracula's Daughter is a 1936 film about a Hungarian countess who seeks the aid of a noted psychiatrist, in hopes of freeing herself of a mysterious evil influence. Directed by Lambert Hillyer. Written by Garrett Fort. Her pulse is weak Dr. Garth... Growing weaker. All your skill can't help her now. She's under a spell that can be broken only by me... or death. You know, this is the first woman's flat I've been in that didn't have at least 20 mirrors in it. Countess Marya Zaleska: Safe - so far. Countess Marya Zaleska: You're not in London now Doctor Garth with your police. You're in Transylvania in my castle. Countess Marya Zaleska: Sandor, look at me. What do you see in my eyes? Lady Esme Hammond: Sherry, Marya? Countess Marya Zaleska: Thank you, I never drink... wine. Dr. Garth: [on the phone] Yes? Dr.Garth speaking. Well who is this? What do you want? Janet Blake: [in a false German accent] Please come right away. This is the zoo speaking. Dr. Garth: The what? The zoo? Janet Blake: Ja! One of our elephants is seeing pink men! Hawkins: [comes out of Dracula's castle] Some man is in there with a stake through his heart. Hawkins: [looks at Von Helsing] You know anything about this? Prof. Von Helsing: Yes, I did it. Hawkins: Who is he in there? Prof. Von Helsing: His name's Count Dracula. Hawkins: How long has he been dead? Prof. Von Helsing: About 500 years. Lili: Why are you looking at me that way? Will I do? Countess Marya Zaleska: Yes, you'll do very well indeed. Do you like jewels, Lily? It's very old and very beautiful, I'll show it to you. Lili: I think I'll pass tonight. I think I'll go if you don't mind... Please don't come any closer!